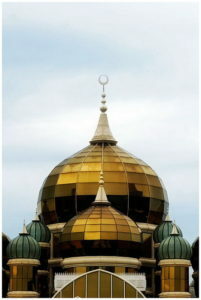 A dome (from Latin: domus) is an architectural element that resembles the hollow upper half of a sphere. The precise definition has been a matter of controversy. There are also a wide variety of forms and specialized terms to describe them. 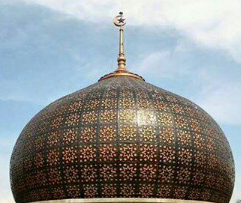 A dome can rest upon a rotunda or drum, and can be supported by columns or piers that transition to the dome through squinches or pendentives. Domes have a long architectural lineage that extends back into prehistory and they have been constructed from mud, stone, wood, brick, concrete, metal, glass, and plastic over the centuries. 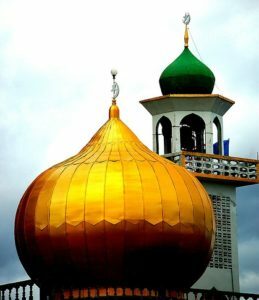 The symbolism associated with domes includes mortuary, celestial, and governmental traditions that have likewise developed over time. Domes have been found from early Mesopotamia, which may explain the form’s spread. They are found in Arab, Persian, Hellenistic, Roman, Indonesia, Asia and Chinese architecture in the Ancient world, as well as among a number of contemporary indigenous building traditions. They were popular in Byzantine and medieval Islamic architecture, and there are numerous examples from Western Europe in the middle Ages. The Renaissance style spread from Italy in the early modern period. 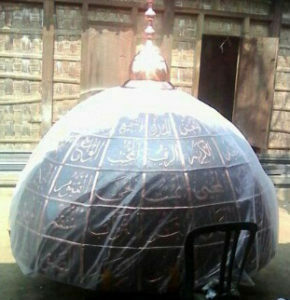 Advancements in mathematics, materials, and production techniques since that time resulted in new dome types. The domes of the modern world can be found over religious buildings, legislative chambers, sports stadiums, and a variety of functional structures. 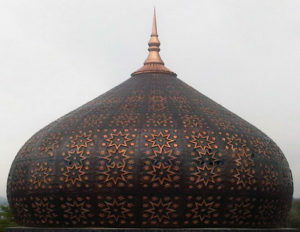 As the producer of the products made of metal, Surya Java Furnindo, CV, produce the domes made of the copper and brass with the various style and size. 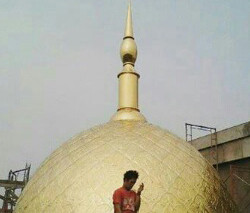 The domes we produced was set up on the mosques and some building in Indonesia and shipped to out of countries.